Saint Raphael left a legacy of 30 churches to the Antiochian Archdiocese. 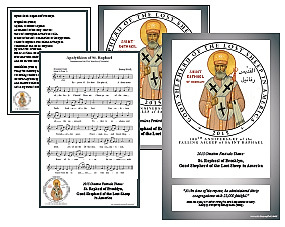 These beautiful small posters have been prepared so our children may learn about Saint Raphael. 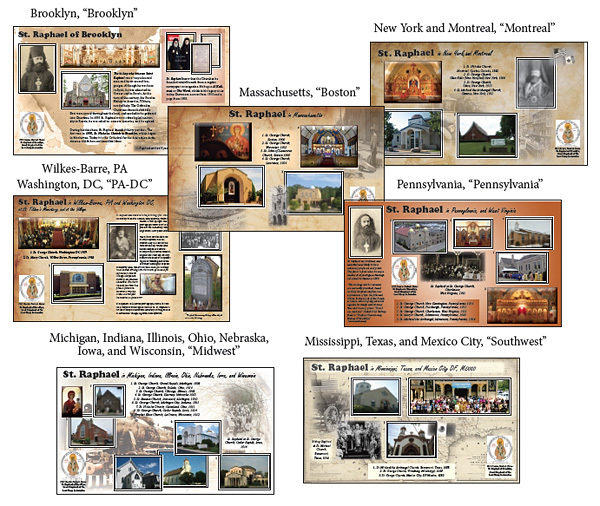 The posters show the parishes, and with vintage photos offer some clues as to how Bishop Raphael made his way around in the early 20th century. Some photographs of his parish visits still exist and were also included. The posters are free--online only. Download the files (file name in quotes) onto a USB drive and take them to Staples or Office Max. (Some print centers will download from a website.) Each poster is available in two sizes, 8.5 x 14 (legal size) and 11 x 17 (ledger size). There are also posters with the troparion and logo. In progress: please check back as more posters become available!